Figures for 2017 released by Aston Barclay show that used fleet diesel prices rose 11.4% (£1,034) between 2016 and the end of 2017, peaking in Q4 last year at £10,076 at an average age of 41.1 months and mileage of 54,415 miles from a base average price of £9,040 in Q1 2016. Over the same time period ex-fleet petrol values fell 0.8% from £7,297 to £7,237. 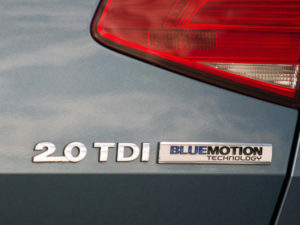 Martin Potter, group operations director at Aston Barclay, said the two-year high for used diesels “shows demand is still alive and well despite the diesel backlash in the media”. The figures come as latest SMMT data shows diesel dropped to around a third of new car registrations in the UK in January, even taking second place even among fleets. Meanwhile Cox Automotive, which owns Manheim as well as consumer business Motors.co.uk, said that data on used vehicles from both its wholesale and consumer channels showed a positive growth in diesel sales from a volume point of view and contrasts with the downward trend in new vehicle sales. Manheim recorded a 1% rise in sales volumes for used diesel vehicles (versus a 3% drop in used petrol vehicles), while Motors.co.uk reported positive volume growth for diesel vehicles in both the £20-£30k and £30-£40k price bands. From a price perspective, in wholesale Cox saw a 14% increase in average sold price for petrol vehicles, but more importantly, it also encountered a 3% increase in values of diesel vehicles sold through its Manheim auction lanes, from £7,883 to £8,106. Motors.co.uk reported a 10% year-on-year drop in average sold price for used diesels under £5,000, as expected in older models, however vehicles above £5,000 were stable, and within 1% of 2016 figures across all price brackets.